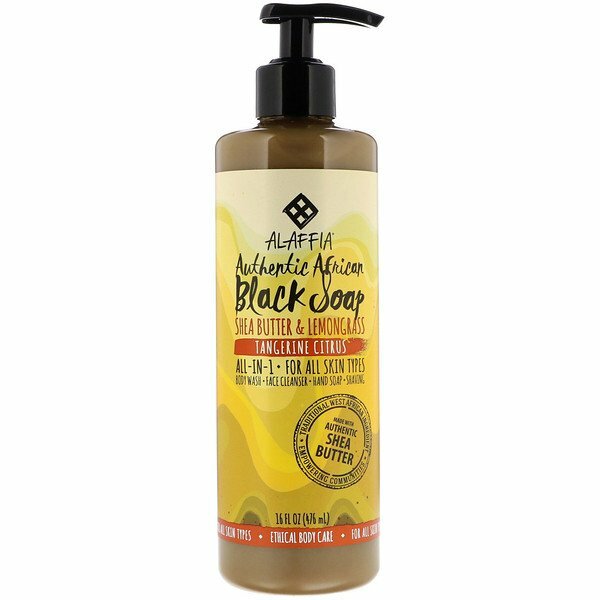 Alaffia's authentic African black soap is made from a centuries-old recipe of handcrafted shea butter and West African palm oil. Black soap is known by its Yoruba name, Osse' Dudu means "black", which comes from extensive cooking of the soap to the point of charcoal. Many cultures in West Africa use charcoal to detoxify and purify the skin. 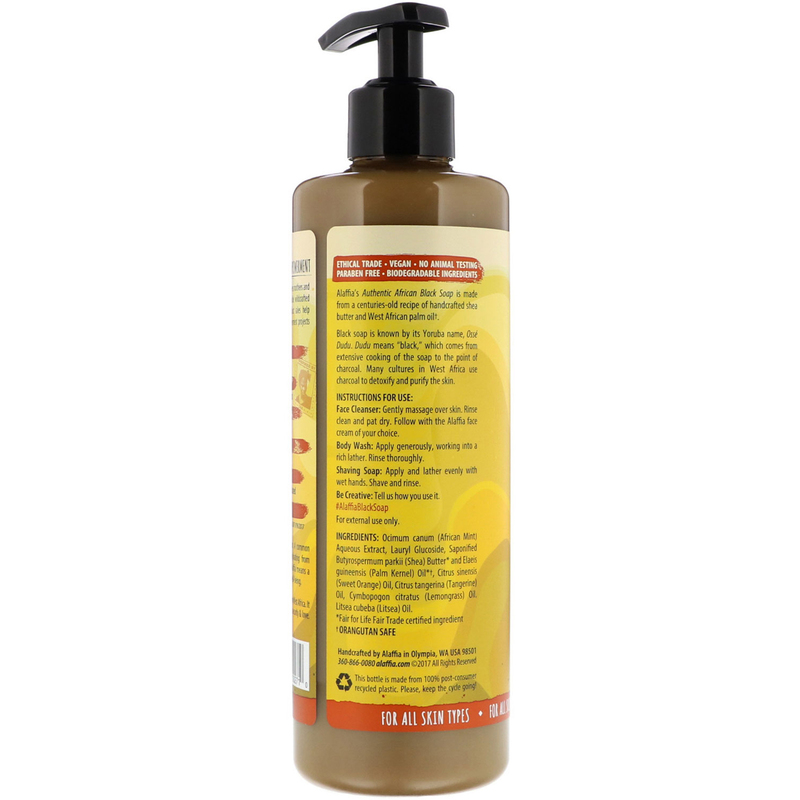 Ocimum canum (African mint) aqueous extract, lauryl glucoside, saponified butyrospermum parkii (shea butter)* and elaeis guineensis (palm kernel) oil*†, citrus sinensis (sweet orange), oil, citrus tangerina (tangerine) oil, cymbopogon citratus (lemongrass) oil, litsea cubeba (litsea) ol.